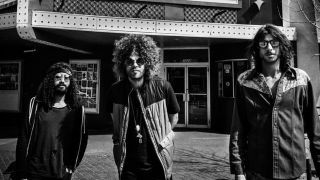 Wolfmother have been announced as the support act for the upcoming Guns N’ Roses shows in Pittsburgh and Philadelphia. The Australian rockers have also added three headline shows for this month. They’ll play at the Double Door in Chicago on July 10, The Marlin Room at Webster Hall in New York on July 15 and at Toronto’s Lee’s Palace on July 17. Axl Rose, Slash and Duff McKagan announced their reunion earlier this year and are on the road on their Not In This Lifetime tour. Wolfmother’s fourth album Victorious was released earlier this year.